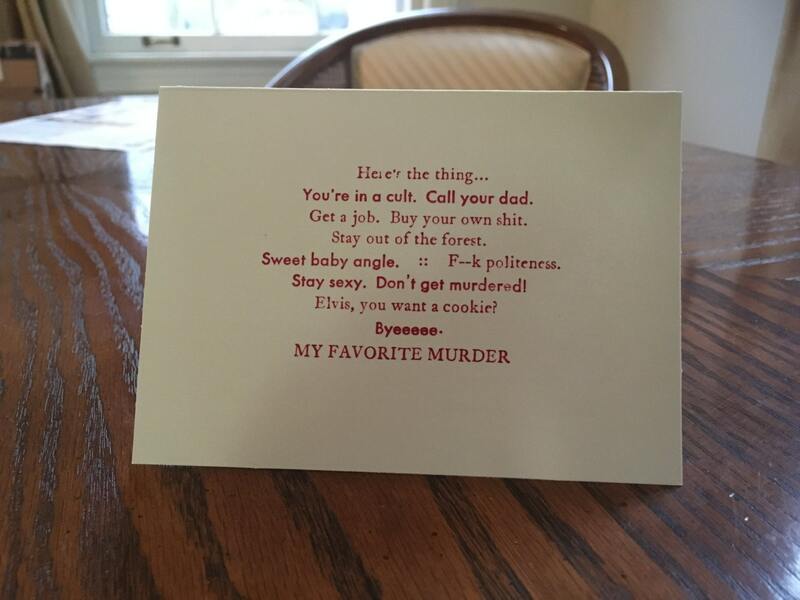 Need to send a fellow murderino a note? Perhaps congratulations on not being murdered or admiration of their sexiness? An offer of cookies? 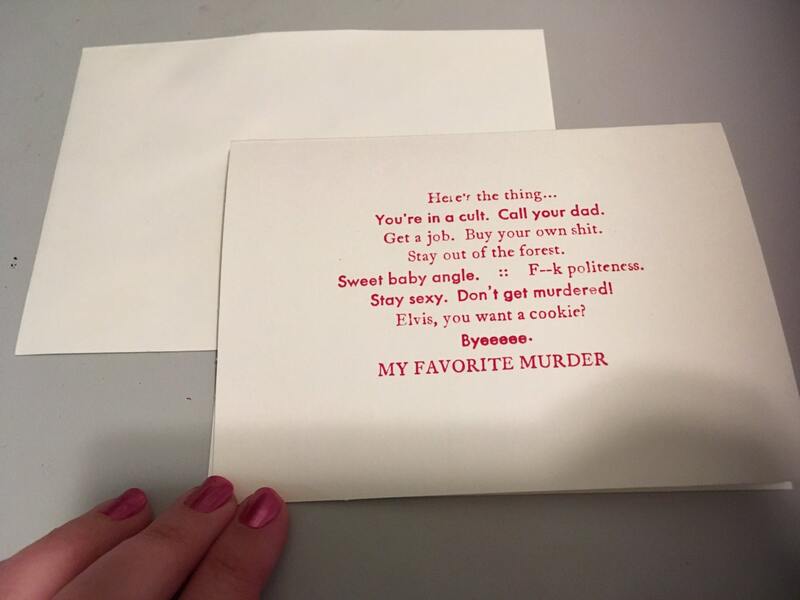 Whatever the occasion, Carpe Fern Press is glad to help! (But don't ask for our PO Box). Cream colored card, comes with envelope. Hand printed on a Kelsey Excelsior tabletop press. Because the whole process is done by hand, each card is slightly different! I'm so pleased with these cards! 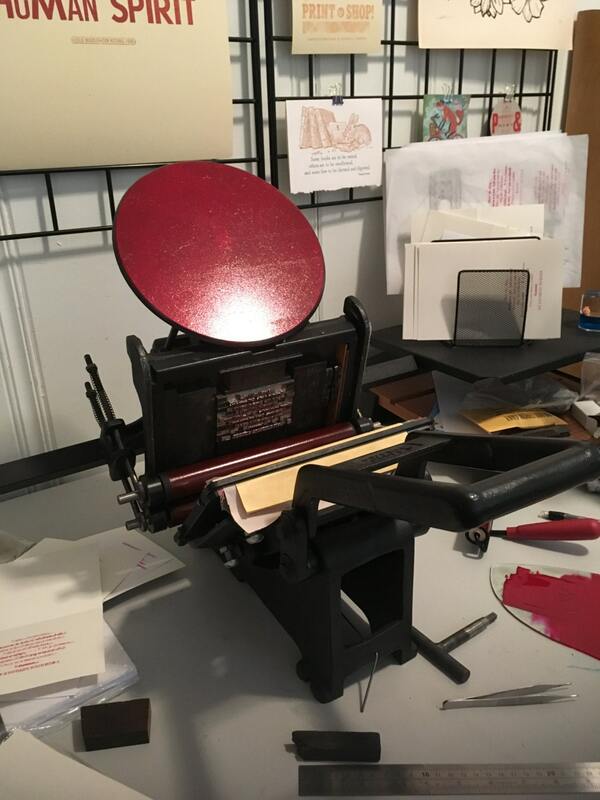 In addition to the beauty of a handmade letterpress item and high quality materials, the seller worked with me to create the perfect purchasing option. I love them! Thank you! SSDGM.